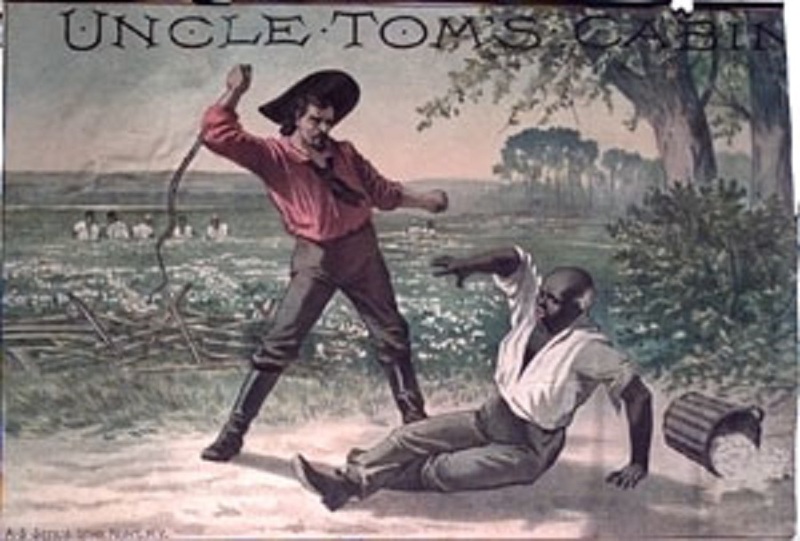 Would Virginia Governor Northam Have Whipped Uncle Tom to Death? Virginia Governor Ralph Northam may someday win an unwanted award from pro-lifers, for helping us win our war. That’s in part how the tide turned against slavery. Another crucial part? The rush to extremist positions on the part of the slave-owning elites in the South. They saw their clout in Congress inexorably diminishing. After Lincoln won the White House without a single Southern electoral vote, they saw the writing on the wall. Free states would come to dominate the nation — with the backing of many white workers who had little use for black people, but resented the downward pressure of slaves on their own wages. So the slaveowners panicked. Their terror drove them to rashness, to push one state after another into secession from the Union, despite the massive industrial imbalance between the regions. It was only the tragic genius of generals like Stonewall Jackson and Robert E. Lee that prolonged the Civil War, and ensured it proved our bloodiest. Their fear that slavery might someday vanish drove Southern elites to destroy themselves. To embrace extreme measures and radical positions — just as pro-abortionists have been doing in recent weeks. If a mother is in labor … the infant would be delivered. The infant would be kept comfortable. The infant would be resuscitated if that’s what the mother and the family desired, and then a discussion would ensue between the physicians and mother. That’s right. You could abandon and leave to die babies who survived a late term abortion. If it’s what the “mother … desired.” Deflecting from the monstrousness of this, Northam suggested that only monsters would suffer this way, only newborns “where there may be severe deformities. ..” Have you got that? Abortion is not about escaping pregnancy, but motherhood. And much of what drives it, (ironically) is the desire to escape the guilt of surrendering a child for adoption. Why else support abortion when a baby is already viable? Or infanticide, once he’s been born? What possible reason is there? Now in Virginia, the “mother’s health” includes the healthy certitude that her disabled infant was killed at birth, instead of adopted by someone who makes mom feel GUILTY. That’s “mental health,” you see. Abortion is not about escaping pregnancy, but motherhood. And much of what drives it (ironically) is the desire to escape the guilt of surrendering a child for adoption. Why else support abortion when a baby is already viable? Or infanticide, once he’s been born? What possible reason is there? Ramesh Ponnuru explains at National Review that the Virginia bill, a similar bill in Rhode Island, and the newly passed New York State law, don’t change much de facto. In cold fact, abortion is legal in 50 states of the Union for 9 months of pregnancy, for any reason at all. But the pro-abortion lobby, fired up like the rest of the Left by the anti-Trump “resistance,” is rushing to expose its naked, monstrous self before all the world — like a flasher in a raincoat. Why should the infant be ‘kept comfortable,’ Governor? Isn’t just a mass a tissue, until the moment the mother acknowledges it and accepts it, by your law’s logic? Or is it some kind of animal, to whom we shouldn’t be cruel? Of what species is it? At that point, they’d turn off the reporter’s mike, of course. To serve our conspiracy of silence. No, it’s not common for women to have late-term abortions — though it’s much more widespread than you might think. As Ponnuru points out, more babies (13,000) die in third-trimester abortions than in gun homicides in America. You won’t hear about that from gun-control fanatics, though. Nor do most of those abortions have anything to do with threats to the mother’s physical health. Nor even are most of those kids “severe deformities,” not that it would be okay to kill them if they were. In fact, Live Action documented that abortionists in America are perfectly happy to snuff out fully-developed babies because they turned out to be girls instead of boys. We knew you believed the moral equivalent of that, pro-choicers. Thanks for admitting it.